We are starting up Next Steps this Sunday. Please take 5 minutes to watch this video to hear the heartbeat behind Next Steps—something that’s important for our WHOLE team to know! Also, if you want to start helping with Next Steps in any way (setup, registration, food, childcare, etc. ), please let me or the Mosseys know. You can comment below with questions. Sign up at Planning Center if you can help out or if you're coming. Hi team! Here are the last two weeks of training that we went through for Launch Team. Sorry for the delay on audio from last week! Please see below for details on Portable Kit training next weekend. August 11th & 12th is portable kit training. We need 24 to 40 people who can commit to being at BOTH days of training to make it successful. We are close to the minimum number at this point. If you can please sign up on Planning Center or reach out and let me know if you can make it, that would be very helpful. Both days will go from 9am to 2pm. On Saturday, please eat a hearty breakfast beforehand and plan to eat a late lunch as we won't stop for a lunch break. We will provide a snacks and drink table to help you keep your energy level up. We'll start the day by unloading the trailer together and learning the basics of moving the big carts around. Then we'll split into three teams: 1 team learning how to setup the auditorium, 1 team learning the welcome areas and parking lot, and 1 team learning to setup the classrooms. Then we'll pack it all back up. Sunday, those who learned will take the lead in getting everything set up while the Portable Church trainers watch and answer questions. We'll plan to be setup and ready to do a mini service at 11am with a couple worship songs and a quick encouragement. EVERYONE IS INVITED to the 11am mini service to help us celebrate. Afterward, the trainees will tear down and load back up. Thanks everyone! Comment below if you have any questions. Hi Team! Here's a link to our very first team training. If you were unable to make it, please check out the recording, and comment below with any of your own thoughts regarding what it will mean for us to be a life-giving church. This Sunday is our first Preview Night. We are asking the Launch Team to be there by 5:30pm for a team huddle to prep before everyone starts arriving. The service begins at 6:30 PM and will be followed by dessert. We still need a few volunteer positions filled to help the night run smoothly. Please click here to check out the signup sheet and let us know where you can help out. Also, we need someone who has a vehicle with a trailer hitch that can haul the trailer From VF Argonne to Evergreen. The van we usually use is in the shop for repairs. Please let me know if your truck or vehicle might work. Here's the sheet I was referring to in the recording. when going over the schedule for Preview Night. Please also mark your calendars for next Tuesday night's Team Training at 6:30 PM at Victory Faith. Love you all! Hi team! Here's a quick video to help you become aware of the events we have coming up in the next few weeks. Please check your email for three messages from Planning Center regarding the next few events. Everyone say hi to the newest member of the Launch Team! Amelie was born early on Sunday, June 24th. Mom and baby are doing great, and her brothers can’t get enough of her. This week has reminded me that what we are building isn’t just about the lives we get to touch this summer and this fall as we launch. Generations to come will hear about the life-giving love of Jesus because of the seeds we are sowing today, and one day Amelie and her friends will be going on the next adventure in building God’s Kingdom. Thanks for all you do, team! We're getting really excited about all the momentum building for VF North. You've been doing a great job welcoming people to our meet-ups, and almost everyone who has come so far either wants to attend once we launch, or they want to join up with what we're doing right now. I'm just as excited about the chance to begin serving North Spokane on July 14th as a part of Serve Day Spokane. We'll be joining with churches all over Spokane to roll up our sleeves and serve our city in practical ways. Do you know of a non-profit or community organization we can partner with and help in a practical way on Saturday, July 14th? If so, please let me know by commenting below or sending me an email. We'd love to reach out to them and see how we can help. We can register our projects at servedayspokane.com, and then when you're ready to sign up for one of the projects, you can go to that same page and sign up to let us know which project you'll help with. Then on July 14th, we'll start the day with a rally at Genesis Church, and then split up to go help our city. Stay tuned for more details for all that. Thunderstorms are forecast through about 3pm, so please be praying for sunshine! IF Baby Girl Sabestinas decides to arrive today (not likely), we have backup plans for everything. Shay and Noël will be in charge of logistics. Pastor Craig will cast the vision. Everyone please help clean up at the end. We'd love to do a sweep of the park to clean up garbage and leave it better than we found it. Go follow our Instagram account @vfnorth and like our Facebook page. Tomorrow I'll be sending out audio and some recap from last night's Team Meeting. 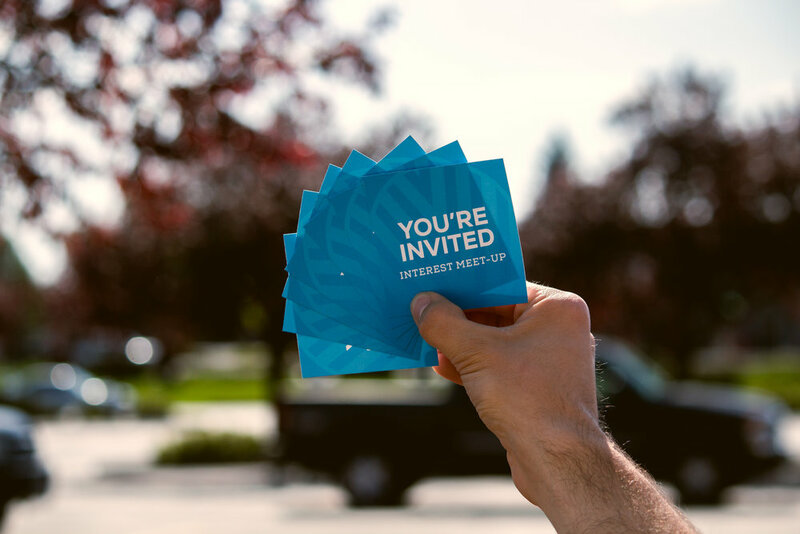 In the meantime, I wanted to get you all the following images and videos that you can put on your social media accounts to invite people to our upcoming Interest Meet-up. A link to vfnorth.com for more info. Hey team! Here's a video with a few updates and prayer requests. Also, please use the Comments below to share who you're reaching out to, praying for, and any cool testimonies you have. Thanks! Quick Note about Planning Center: you should have received an invitation. If you haven't, let me know which email address should be associated with your Planning Center account. Upcoming Interest Meetup: May 24th at Genesis. Who are you inviting? Let us know in the comments below. We went over the Launch Team schedule, both team-building / training meetings and Interest Socials. We talked about Planning Center, which is a tool we'll be using for scheduling and communication. We talked briefly about looking ahead to joining teams that will be necessary once we launch. There was a form we filled out together at the meeting regarding some of the above items. If you missed the meeting, please fill out the form below. You might find it useful to fill out the form as you follow along with the meeting audio. Finally, please take note of all the dates listed below regarding team-building meetings, interest meetups, training, etc. Please note that all of the above dates, times, and locations are subject to change. We will keep you updated. On behalf of our Senior Pastors Craig and Monie Lotze and the Victory Faith leadership, we want to welcome you to the VF North launch team! The purpose of our team is to invite people in North Spokane to get connected with what God is doing through VF North. We want to do everything we can to equip you to reach people over the coming months. To start that process, we will hold a gathering on Thursday, APRIL 26th at 7pm. We will meet in the Living Room, and kids are welcome. We are also excited to have Pastors Craig and Monie Lotze with us at this meeting. Introduce a planning and communications tool we’ll be using. Please make it a priority to attend this first launch team meeting. If you have a scheduling conflict, please let us know so we can get you the info afterward.